It's about Natalee........ no one else. Crumble Joran, crumble. Don't procrastinate too long. Apparently ... Part One may no longer be available for viewing on Peter Devries' website after tomorrow. While viewing these two videos I experienced so many emotions. However ... when all is said and done ... I was so proud of Beth. She is one amazing lady. As I sincerely believe that Aruban justice will never prevail for Natalee Holloway ... Beth is my sole reason for keeping on keeping on. Only when Natalee is returned to her family ... to American soil ... will Tamikosmom become a distance memory. A pesar que confesó ser el asesino de Stephany Flores, Van derSloot no le dice nada al juez Miércoles, 10 de noviembre del 2010. Stepahany Flores murió asesinada el 30 mayo en una habitación de hotel, en la que se hospedad el holandés Joran Van derSloot. El cual es el principa sospechoso de la muerte de la joven. Todo indica que Van derSloot sería el asesino de Stephany, ya que un video muestra que él fue el último de verla con vida y entrar a la habitación en la que fue asesinada brutalmen. “Es vergonzoso lo que pasa en las cárceles. Yo creo que el INPE tiene que darle el tratamiento que tiene cualquier delincuente”, dijo indignado Ricardo Flores, padre de la joven asesinada. Agregó que ya han pasado seis meses desde la reclusión del holandés y “hasta el día hasta el día de hoy se niega a dar su declaración al juez”, señaló para una televisora local limeña. “Lamentablemente pareciera que las leyes que se dan en el Congreso no fueran eyes para que se juzgara y se sentenciara a los asesinos sino para protegerlos” comentó indignado Flores. 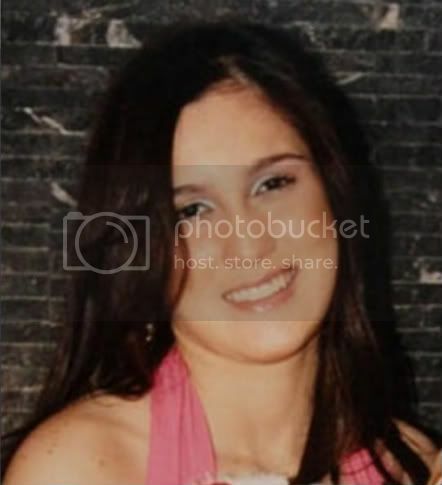 Stepahany Flores was murdered on 30 May in a hotel room, which hosts the Dutch Joran Van derSloot. Who is the prime suspect in the death of the young. Everything indicates that the murderer would derSloot Van Stephany, because a video shows that he was the last to see her alive and enter the room where he was brutally murdered. However, the family of the victim shows his great reproach to the Peruvian justice system, noting that Joran lives "like a king in jail." "It is shameful what happens in prisons. I think the INPE has to give the same treatment to all criminals," said Ricardo Flores outraged father of the girl killed. He added that it's been six months since the detention of the Dutch and "until this day refuses to give his statement to the judge," he said to a local television station in Lima. "Unfortunately it seems that there are laws in Congress to protect the criminal, not to try and sentence them." Flores said indignantly. I'm glad that Stephany's father is speaking out! I feel bad for the Flores family too. I feel bad for them too, and I don't believe that Stephany had that discussion with Joran right after she met him in the casino either. I think that was just another lie among many in that interview. I can just imagine how hurtful that was to her family, and I hope that POS pays for it! it looks like politics are getting all in the middle of Stephany's case too. This is from the comments section of the "Joran Lives Like King" article. 1. 2010-11-10 – 11:27:54Sr, recuerde bien, como los peruanos nos sentimos tan burlados e indignados con tanta corrupcion en el gobierno de su amiguisimo y gran corrupo vladimiro montesinos, ahora recien se da cuenta de la corrupcioin?? por favor!! lo q sucede q ahora a ud recien le importa porq esta su hija de por medio. solo dios sabe cuantas veces quizas, ud se habra servido de toda esa corrupcion de su amigo montesinos en años anteriores para su propio beneficio, siento mucho lo sucedido con su hija, pero creo q mejor deberia quedarse callado. We Peruvians feel cheated and disgusted with so much corruption in the government of your good and highly corrupt friend Vladimiro Montesinos, now recently you realizes the corruption? Only God knows how many times you benefited from the Montesinos corruption. I'm sorry what happened to your daughter, but I think that you better should remain silent. I thought they'd already done that! Joran van der Sloot will undergo a psychological exam in his murder trial in Peru. Judge Carlos Morales Cordova ordered the exam, according to the Peruvian website DiarioPrimeraPeru. The order also detailed that the tests be carried out by medical staff of the Institute of Legal Medicine at the Miguel Castro Castro prison, where the Dutchman is being held on charges he murdered Peruvian student Stephany Flores. Flores' body was found in van der Sloot's Lima hotel room. He has confessed he killed Flores after she found material on his laptop relating to Natalee Holloway. He's now trying to get that confession thrown out on grounds of coercion and procedural irregularities. 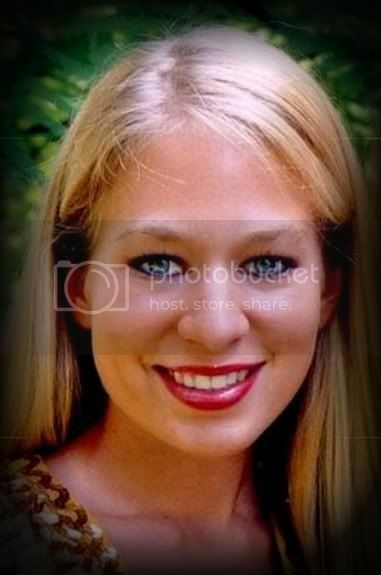 Natalee Holloway is the Mountain Brook teen who disappeared on a 2005 graduation trip to Aruba. She was last seen with van der Sloot. Although the prime suspect in her disappearance, he was never charged in connection with her disappearance. The latest development in the Holloway case has been the prison confrontation between van der Sloot and Natalee's mother Beth. Beth Holloway got into van der Sloot's prison with a Dutch TV crew which filmed the confrontation. Excerpts of that video have been shown on ENTERTAINMENT TONIGHT and THE INSIDER and here at CBS42.com. I'm thinking they may have picked up an old article? It's easy to do on some of those websites, the date beside the article in a search result may be a current date, but the article may be from months ago. When you have the same people agreeing with each other all the time....and against an individual or two or three most of the time....is dialog limited? If so....how does that help? I think yes, especially since everything you posted was exactly as I expected. Yes, me too. I can't imagine Peter de V or Beth would give Joran a cent to do an interview. I can sympathize with Beth wanting to pay for her daughter's remains. How could she not? Hindsight is 20/20, she gave him the benefit of the doubt. Once again, he lied. That was definitely the wrong picture. I am going to fall on the floor, there are tears streaming down my eyes and I am trying not to wake up cub. I think he through his lawyer, I forget his name, I know it is something like Maximum Blowhard, is trying to get the venue changed to the Institute of Illegal Medicine. Next time I promise to check my work, Sister Klaas. I have to say that was a long-needed laugh. I am sorry for any of you who saw it, I am glad it was the middle of the night here, anyway. aruba and all those that protected urine are to blame.....that's first degree.. Page created in 8.968 seconds with 19 queries.